Burbank, CA, May 1, 2017 – FremantleMedia North America (FMNA) has been tapped by Jukin Media, the global leader in user-generated entertainment, as the licensing agent to represent several of the company’s key brands to create new branded product lines. With a combined 55 million engaged fans across YouTube and social media, Jukin’s brands each carry massive online communities that participate to the tune of 1.5+ billion video views and 29+ million engagements (comments and social actions) each month. 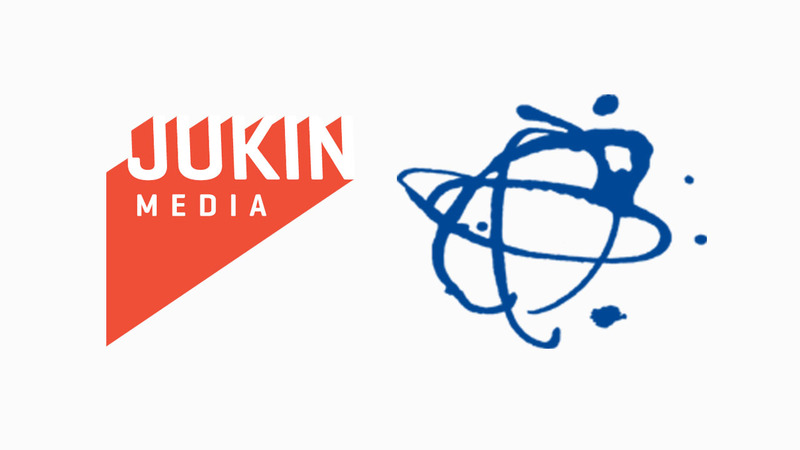 With this new partnership, FMNA will develop licensing programs surrounding top Jukin Media properties including The Pet Collective, a joint venture between FMNA and Jukin Media that serves as the ultimate destination for pet lovers on the web. Additional properties represented through the new partnership include FailArmy, the world's number one source for epic fail videos and hilarious compilations; People Are Awesome, which is dedicated to showcasing ordinary people doing extraordinary things; and Poke My Heart, a showcase of videos that make people happy, inspired, or nostalgic. For The Pet Collective (TPC), FMNA will focus on extending the brand across pet toys, accessories, grooming and more. Additional licensing opportunities for TPC’s popular pet memes include apparel, stationary, calendars, social expressions and the like. FMNA has already brokered a first licensing deal with Represent to create a line of On Demand products for TPC which will include high quality and custom men’s and women’s T-shirts, hoodies, sweatshirts and tank tops, along with tote bags and mugs. The designing and selling of these limited-edition items will allow fans the opportunity to purchase unique items based on The Pet Collective brand. FMNA will be taking meetings in booth C-196 at the upcoming Licensing Expo 2017 taking place in Las Vegas, NV from May 23-25 at the Mandalay Bay Convention Center. FremantleMedia North America (FMNA) is a premier content studio. FMNA and its portfolio of companies, including Random House Studio, Original Productions and 495 Productions, create entertaining and innovative scripted and alternative programs for network, cable, syndicated and digital partners. Its diverse, critically-acclaimed and award-winning slate includes America’s Got Talent (NBC), Family Feud (SYN), Let’s Make A Deal (CBS), The Price Is Right (CBS), The Great Christmas Light Fight (ABC), Deadliest Catch (Discovery), Jay Leno’s Garage (CNBC) Married to Medicine (Bravo), Martha and Snoop’s Potluck Dinner Party (VH1), Blue Collar Millionaires (CNBC), Ice Road Truckers (HISTORY), Storage Wars (A&E), Celebrity Family Feud (ABC), To Tell The Truth (ABC), Match Game (ABC) and American Gods (STARZ), among others. FMNA also operates BUZZR, a retro game show channel that launched in 2015, and is available in the top 10 U.S. markets, and 65 percent of the country.